CJ Sheeran Limited were proud winners at the Green Awards 2014, held on Thursday 10th April at the DoubleTree Hilton Hotel on Burlington Road, Dublin. The company beat off stiff competition to secure the ‘Waste to Business Resource Award’ for their Recycling Division. The Gala Dinner attracted almost 450 representatives from across Ireland, who came together to celebrate the best the industry has to offer. With 23 awards presented to worthy winners and over 170 entries in the awards, there was plenty to celebrate on the night, which was also attended by Phil Hogan TD, Minister for the Environment, Community and Local Government as well as Environmentalist, Duncan Stewart. Evan Doyle, Operations Manager at the Dublin depot, was on hand to accept the award. “I am delighted to accept this award on behalf of the company. 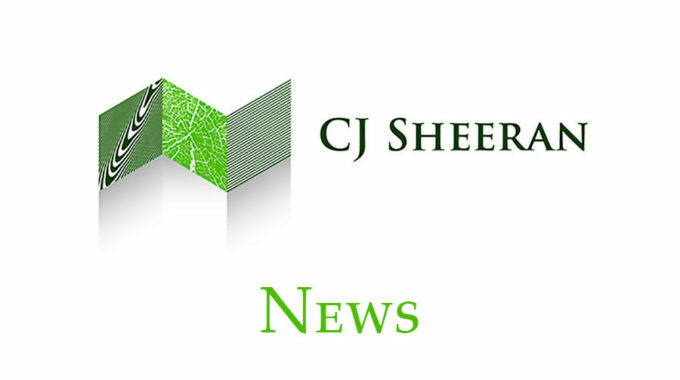 It is testament to all of the hard work, dedication and indeed innovation that goes on at CJ Sheeran Limited”. CJS have grown to become Ireland’s largest manufacturer of timber pallets and packaging supplying the country’s pharmaceutical, food & drink, technological, agri-business and engineering industries. The company’s headquarters are located in Mountrath, Co. Laois and they operate two further facilities in Co. Mayo and another on the Naas Road in Dublin. CJS have also recently launched a corrugated box manufacturing facility on the Limerick Road in Mountrath. 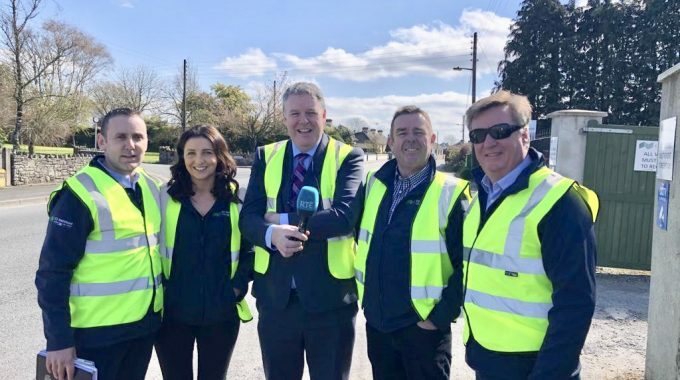 The company’s Recycling Division is also Ireland’s largest, currently recycling in excess of one million pallets per annum, which equates to 15,000 tonnes of waste pallets. Waste pallets are repaired for reuse – significantly prolonging their life cycle, dismantled with their timbers salvaged for resuse in the manufacture of a hybrid pallet or if beyond repair, they are shredded into a woodchip which has various end uses such as biofuel, landscape woodmulch and ComfyBed® Equine Bedding. The Waste to Business Resource Award recognises outstanding achievement in the development of operations that have a significantly positive environmental impact. Sponsored by Diageo, it celebrates excellence in sustainability and encourages green best practice amongst Ireland’s organisations. CJS are Ireland’s only pallet manufacturing company certified to FSC® (Forest Stewardship Council) standard meaning that all raw timber is sourced from sustainably managed forests in Ireland. CJS also manufacture ‘The Garden Gate’ range of garden and farm timber products such as gates, fencing panels, garden sheds, swing seats, dog kennels and children’s swings, slides and playhouses available from over 300 nationwide resellers. See www.thegardengate.ie for the full range. Pic: Paul Armstrong, Supply Director (Brewing) Diageo presenting the award to Evan Doyle, Operations Manager, CJS (Dublin).